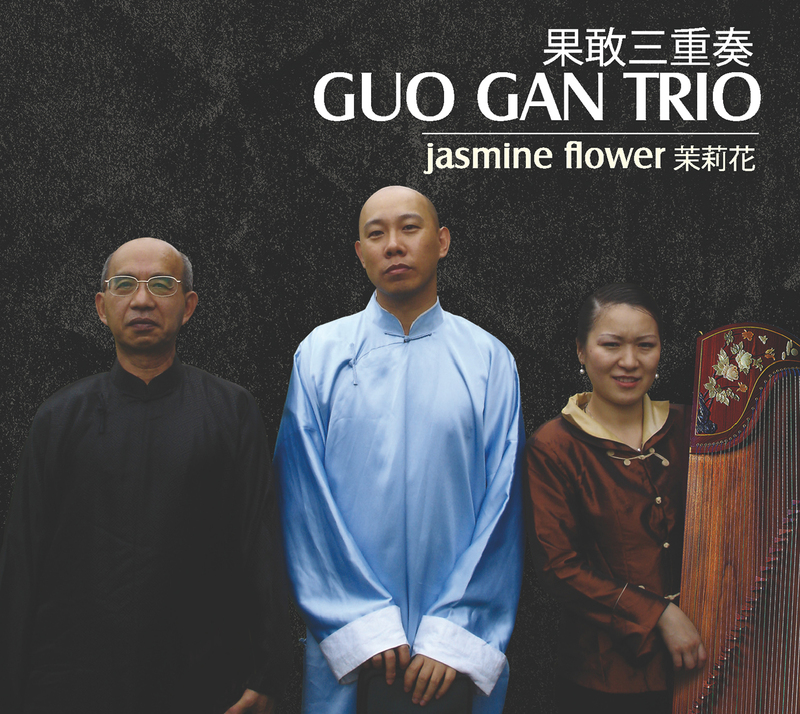 GUO Gan’s new CD presents his trio, Rao Ying on Zheng (Chinese zither), Lai Long Han on Dizi, Xiao (flutes) and Guo Gan on Erhu (fiddle) in a repertoire of classical compositions of various part of China especially arranged for the trio. After the good response to his previous CDs on Felmay (Yue Luo with pipa’s player LingLing Yu and Scented Maiden in solo) GUO Gan return leading a trio of skilled musicians, confirming to be not only of one the best interpreter of his instrument in the world but also a capable band leader. The three musicians plays some of the most typical instruments of the Chinese musical tradition creating a very delicate but powerful sound, mixing the breath of the strings of the Ehru with the purity of the Zheng and the vibrating buzz of the Dizi, the characteristic flute from China. The final result is a sound that immediately calls China and at the same time sounds original and familiar. Rao Ying, a Zheng zither (Gu Zheng) player graduated from Wuhan Conservatory Orchestra in 1998, started playing Gu Zheng as a child and was among the first to be awarded in a traditional music festival in Central China area. She is also a Gu Zheng teacher and obtained excellent results with her students. After participating as a performer to the Hong-Kong’s night at Cannes Festival, she worked for the recording of L’idole original soundtrack, composed by Gabriel Yared. Currently Rao Ying is carrying out her concert activity across whole Europe and she is today at ease with both contemporary and traditional music. Born in 1948 in Phnom-Penh, Cambodia, at age 12 he started his transverse flute training on the instrument traditionally called Dizi in Chinese language. In 1981 he moved to France where continued his training with master Chiev Kuang Yi, a very famous flute player and took part in several music manifestations playing all over Europe. Guo Gan (Yi-zhen is his stage name) was born in Shenyang (China). Elegance and virtuosity characterizes Gan's style. Guo Gan in the years has worked hard to popularize his instruments, playing and recording in musical situations very different from the original Chinese musical scene. Guo Gan has reached an international recognition playing with prestigious artists such as Lang Lang, Didier Lockwood, Yvan Cassar, Gabriel Yried, Jean François Zygel. This has been his way to remain faithful to the teachings he got from his first teacher, his father, Guo Jun Ming (1940--2010), a legendary ehru player. In 2001, Guo Gan decided to move to Paris to expand his musical horizons. At the same time he has given concerts receiving regular invitation from theaters and festivals in Europe and USA. Besides concerts and performances Guo Gan has composed soundtracks for films: L'idole, Le Premier Cri, AO, Shao Lin, Sparrow, Sa Majesté Minor, and documentaries Chang Da-Qian, Himalaya and has recorded several CDs . His last solo album Scented Maiden (Felmay Records) has been released in 2012.